The aim of this exercise was for me to think about the practical process of composing an image. The method involved keeping my eye to the camera viewfinder and recording the way I approach and shoot a subject from the point that I first see it, to the final best image. The exercise ideally asked for a street setting, involving people, however due to the extreme outdoor temperatures at this time of year I decided upon a visit to a local indoor souk. 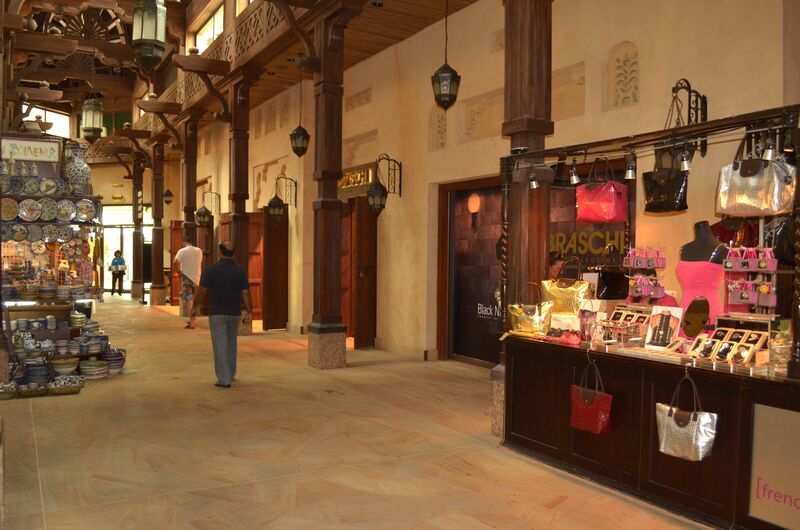 While the souk had only a few visitors on this day, it’s passageways and stalls offered many interesting subjects. I shot 5 series of photographs; the subjects included mannequins, lanterns and a music store. I found looking through the camera’s viewfinder (almost) constantly began to feel more comfortable as I progressed. Once home, I reviewed the photographs and decided that the most successful series was the last one I shot, probably due the practise previously. This last series was of a pottery stall I spotted at the far end of an arched passageway. I began using my 18-55mm lens to take some overall views. At this spot I noticed first a bag stall on the right, then further back to the left, the pottery stall. Holding the camera vertically included the high, wooden beamed ceiling in the frame. Taking a few steps to the right I shot the pottery stall diagonally across the length of the passageway. The stall appears distant so I decided to move closer, shooting the pottery stall alongside a neighbouring stall to try and illustrate the idea of a souk, or market lanes. I tried this from a few different angles. 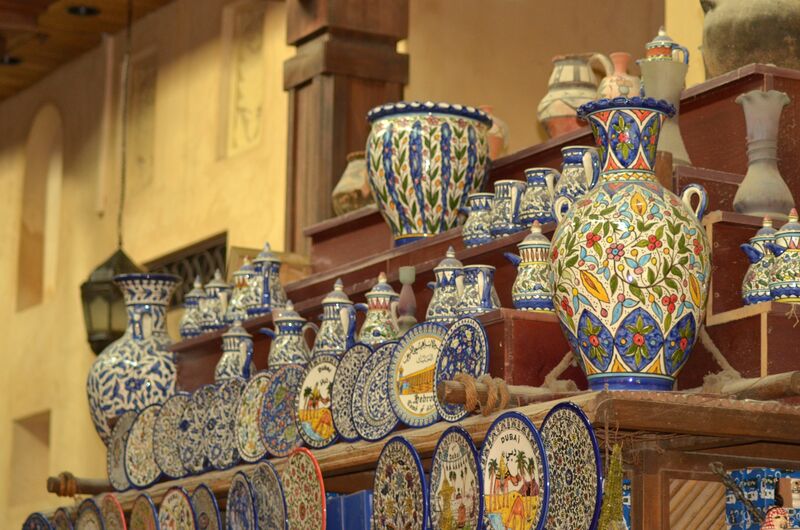 I approach the pottery stall and take several shots of the stall as I walked around it. At this stage I became more aware of the plates and pots the stall was selling. 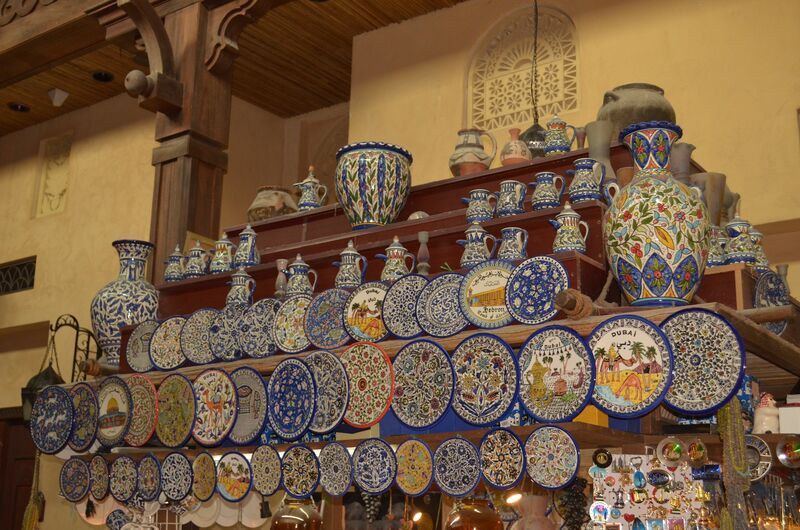 In particular, the pottery on the top of the stall caught my eye as it was displayed in a way which showed the patterns. I decide to focus on these items. 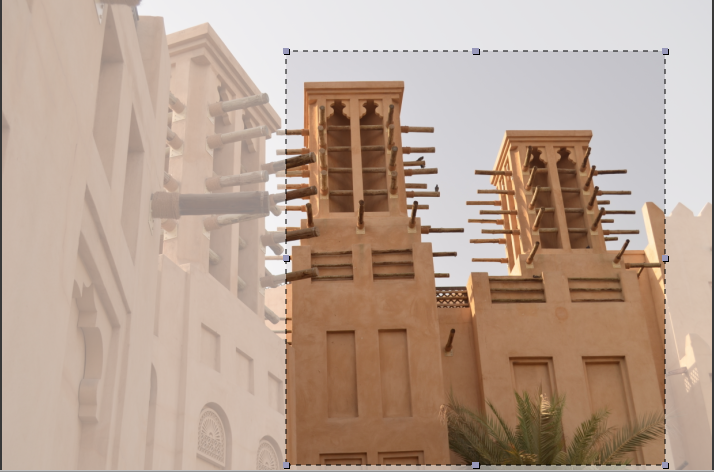 With this shot I tried to use the wooden pillars to make a frame within a frame. 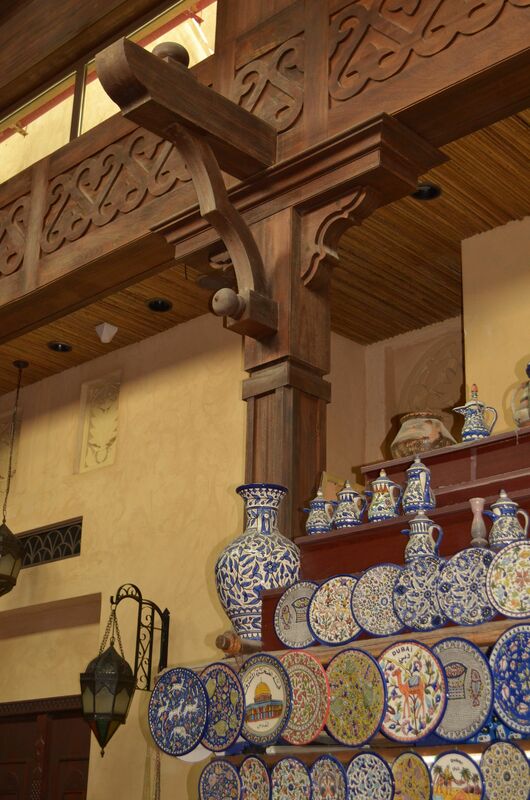 I then tried to capture the pottery at an angle which would include some of the surrounding details in the frame, such as carvings, pillars and lanterns. The large pot on the right hand side caught my eye here, as it was more colourful than the others. I decided to focus further on this pot. In order to zoom in to an appropriate range I changed my lens to a 70-300mm. I took several shots of this pot alongside a few other as follows. I considered ways that I could isolate the pot and decided to focus only on the top of the pot and again where the pattern filled the frame. In the photograph below I was attempting to show the pot (almost) on it’s own. I noticed how the colours and curves of the pot really stood out against the slightly blurred background of the wood features. I decided to concentrate on this viewpoint, moving the camera to sharper angles to try and improve the framing. I really liked the way this photograph emphases the colours and shape of the pot but also leads the eye back and across to the high, vaulted arches in the roof. However, overall I decided the photograph below, to be the final best image. My reasons for this are that I like the way the position of the pot in the bottom left of the frame allows space also to show the beam in the top left hand corner of the image. 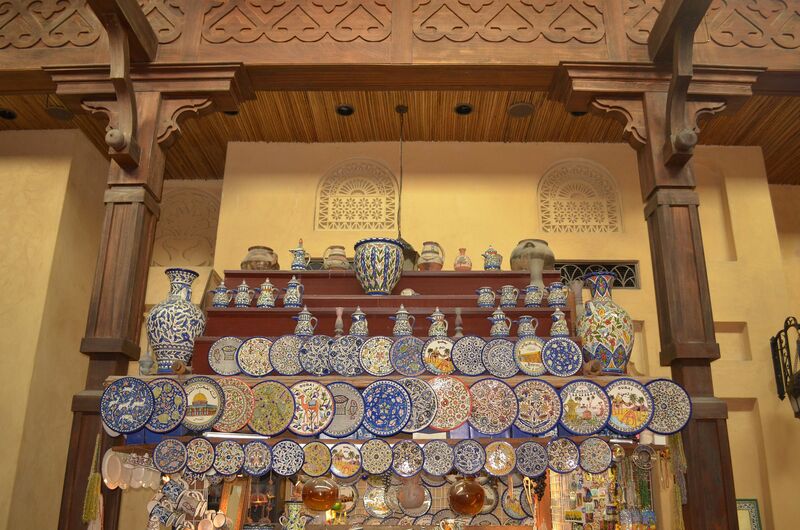 This beam, together with the shelf the pot is sitting on, provide a frame, of types, within the frame. I also like the light shining through the roof top windows as it allows some of the curved details in the beams to be suggested. I can definitely see the benefits in carrying out this exercise as I fully appreciate that if I had not been so focused on looking through the viewfinder I would have missed some great shooting opportunities. Other practical factors that I have realised are that I need more practise using my 70-300mm lens as I find the manual focusing tricky at present. I also found this lens made my camera feel heavy after a while, which also didn’t help with focus, so I should consider carrying my tripod with me for these occasions. This entry was posted in 04c-A sequence of composition on July 17, 2012 by catherinefinniganphotography. I will continue the cropping exercise from the previous post. This crop draws the eye to the details in the lower part of the structure, such as the design filled arches. With the second tower image I aimed to fill the camera frame. I like this crop as it positions the tower slightly left allowing the birds on the beams to become more of a focus. With the fourth image of the tower I cropped it in four different ways as you can see below. The wind tower was a better subject for this exercise than the palm tree as it resulted in more interesting crop options. I enjoyed this exercise as it has encouraged me to look at subjects through the viewfinder in different positions in relation to their surroundings. It has also demonstrated to me that some off centredness can add interest and context to a photograph. This entry was posted in 04a-Fitting the Frame to the subject on July 10, 2012 by catherinefinniganphotography. I experimented with the software editing programme to create cropped images of the photographs taken previously. I began with the first palm tree. I tried out several crops including the three below. Of these three crops I prefer crop 3. The base of the tree is closer to the bottom of the photograph and the off centre position draws the eye left to make you aware of the tree’s slight lean in that direction. The fourth tree image I cropped was the tree situated on the sand with an empty beach to the left and the sea to the rear. Of the four tree images this was the one which offered me the most cropping options. 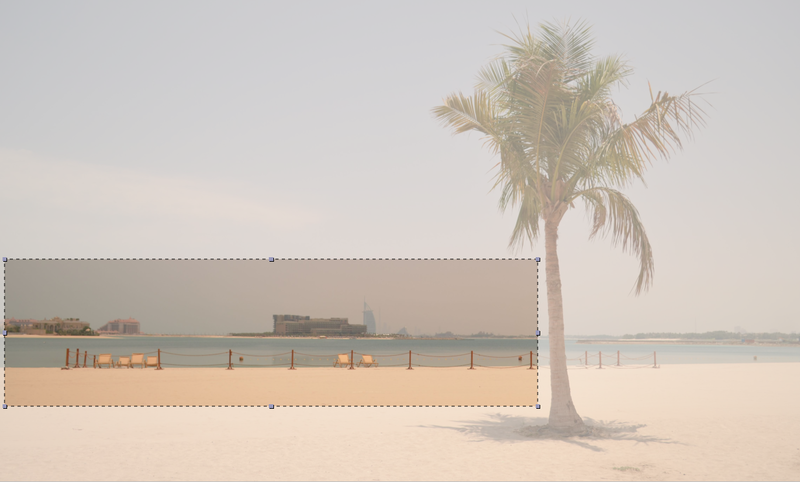 While the original image draws your eyes along the beach this narrower frame made me focus on the central part of the photograph and the distance across the water to the buildings in the rear. For the second crop I decided to leave the tree out of the frame and focus on the beach area and buildings to the left. While this image is not as sharply focussed as the tree was in the foreground it does have a hazy, summery postcard quality. 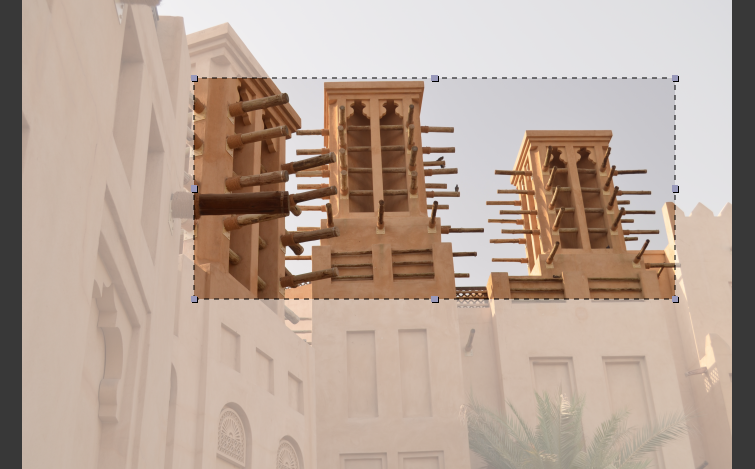 I then considered how to crop the wind tower. cropped to focus on the central tower and the tower to its right. In this crop I noticed the seemingly different heights between the towers. 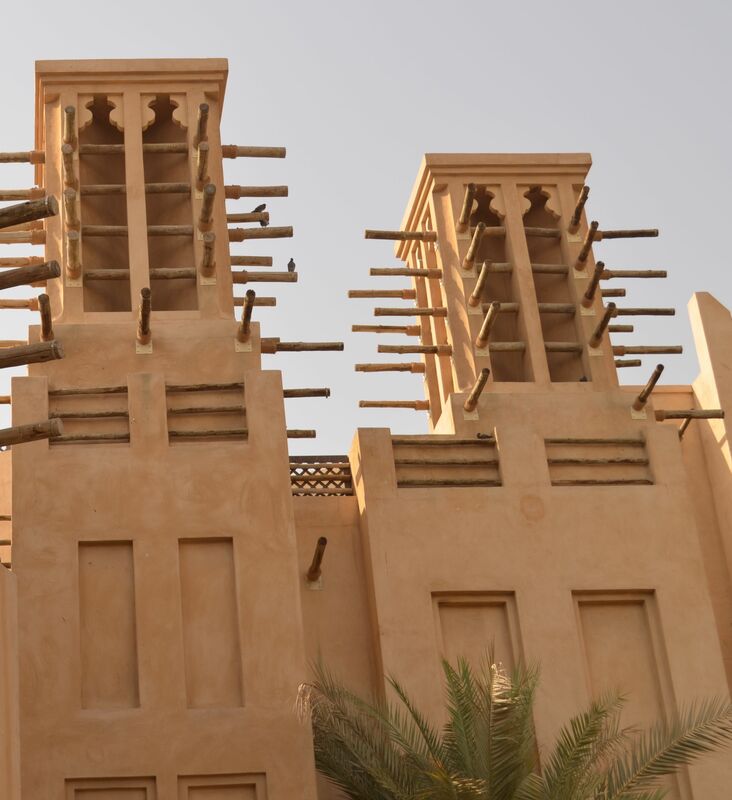 The landscape frame emphasises here emphasises the horizontal beams at the tower tops. I will continue this exercise in the next post. Fitting the frame to the subject. The object of this exercise is to photograph an object and experiment with how much space it takes up in the frame of the viewfinder. 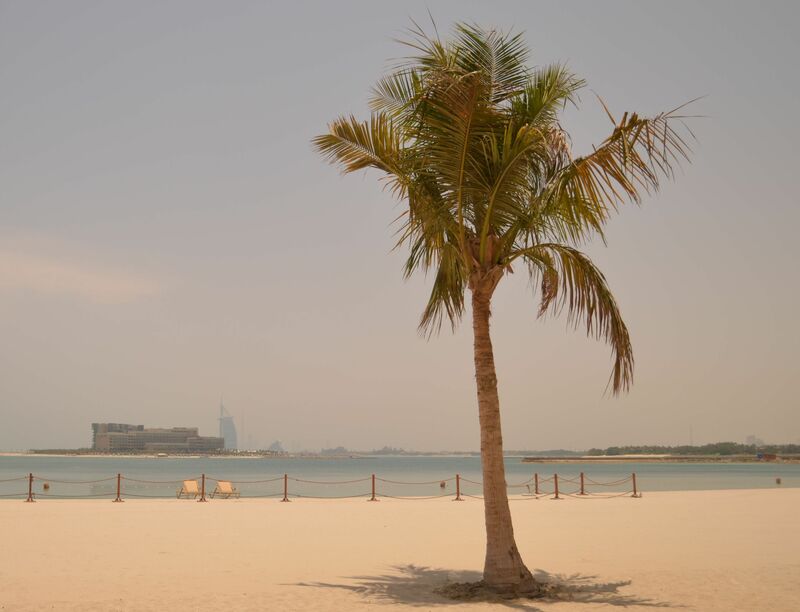 I took a series of 4 photographs of a date palm tree at the local beach area. The first photograph I took quickly, without much thought. The result was a vertical image with the tree placed centrally amidst it’s immediate surroundings. The second photograph was to be taken with more care. I approached the tree attempting to make the tree fit the frame as tightly as possible. 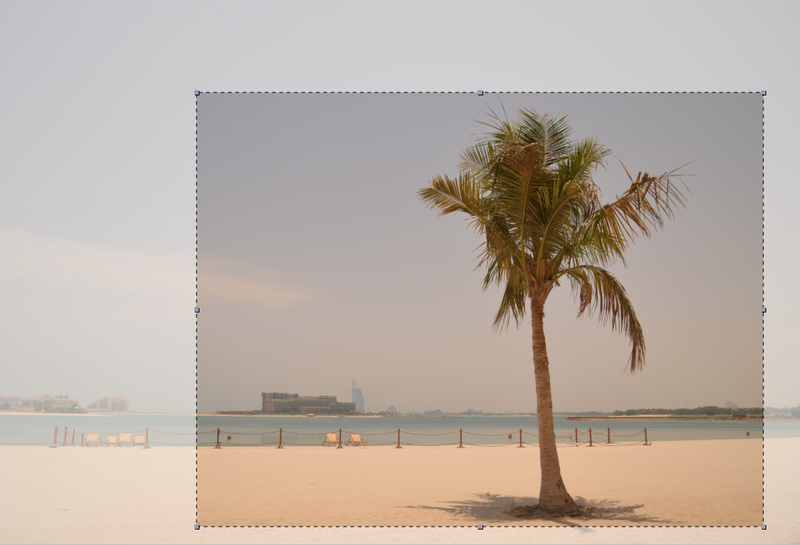 Again, a portrait format frame captured the tree’s height best. For the third photograph I used the viewfinder to focus in tightly on the tree trunk. This image shows clearly the rough, uneven texture of the tree’s bark. For the fourth image I moved back until the tree filled only a small area of the viewfinder and the surrounding area was included in the composition. To do this best I changed the orientation to landscape to show the quiet, sandy area to the left of the tree and the unoccupied beach to it’s rear. 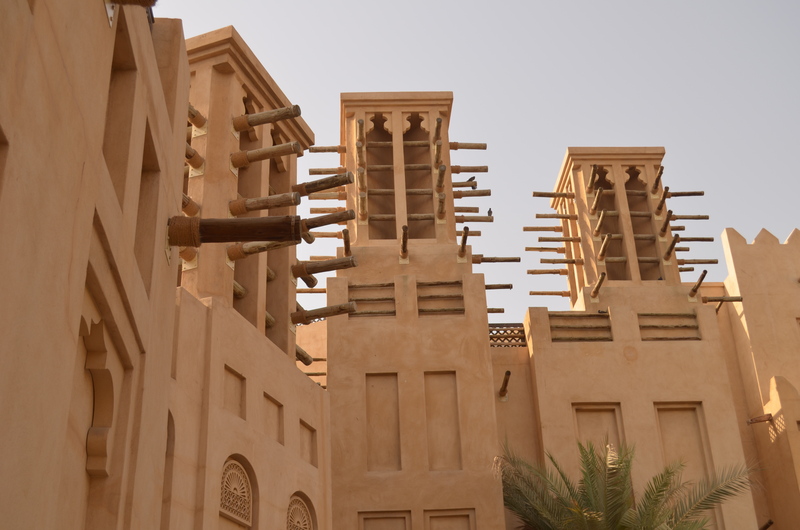 I repeated the exercise, photographing an Arabian style wind tower at a nearby hotel. As before, I composed and took the photograph quickly, placing the tower in the centre of the frame using a landscape orientation. For the second photograph I wanted to fill the frame as much as possible with the wind tower so I turned the frame to portrait orientation. This isolated it from the other building structures. For the third photograph I approached the tower and filled the frame with one of the tower sides. For the last photograph I stepped back from the tower to include the tower’s surrounding including other elements of the building, the sky and the doors at it’s base. Now, I will use the cropping tool on my photo editing software to look for alternative possibilities by cropping these images. 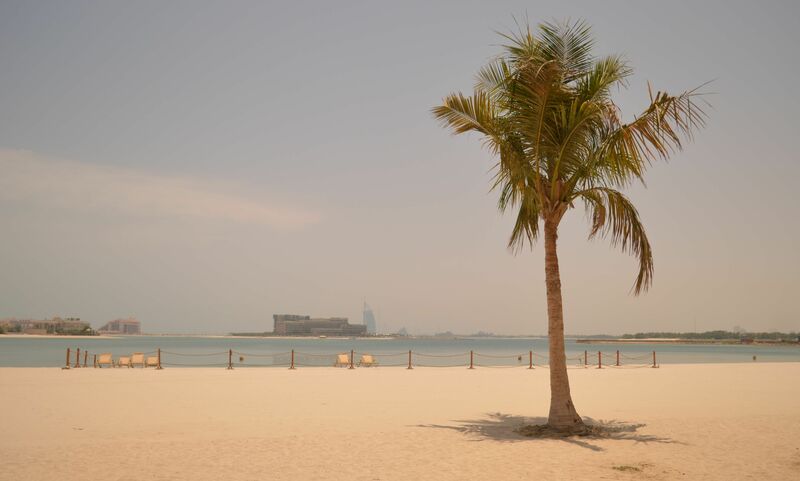 I will begin with the palm tree series of photographs in my next post. This project emphasises the importance of the camera’s viewfinder and its role in designing and producing photographs. Following the instructions in the course notes I looked through the camera viewfinder to carefully look around the room I was sitting in. At first view nothing in the room seemed to warrant my interest enough for me to want to take a photograph. I think my response was probably due, as the course notes suggest, to over-familiarity with the scene and the objects within it. In preparation for this unit I have begun to read Michael Freeman’s ‘The Photographer’s Eye’, Chapter One – The Image Frame. He notes that ‘most cameras offer a view of the world as a bright rectangle surrounded by blackness, and the presence of the frame is usually strongly felt’. Up until a few weeks ago, I rarely used the camera viewfinder to take photographs, using the camera LCD screen to compose instead. As I was taking the photographs for the introductory projects I looked through both the LCD and camera viewfinder in order to compare methods. When using the LCD screen on my camera to compose my eye tended to move back and forth from the screen to the subject. I found, as Freeman suggested, that by looking through the viewfinder the ‘blackness’ surrounding the image in the ‘bright rectangle’ provides a strong frame and allows the eye to concentrate. This entry was posted in 04- Looking through the viewfinder on July 9, 2012 by catherinefinniganphotography.